As you can see I am on my way of finishing my costume for the anime expo that is coming to our town from July 18-20. 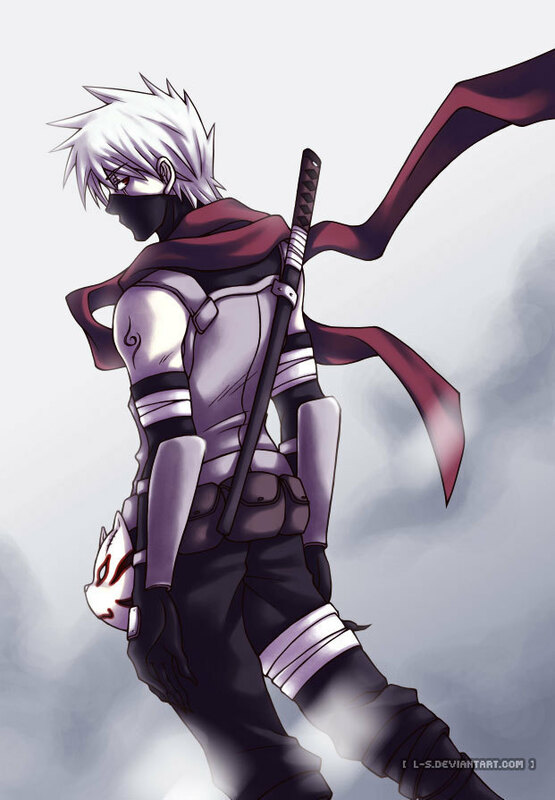 I decided on the anbu. I found all of this in my closet. I modified a dress up long sleeve blouse to the white vest. The black shirt I have many as well as black pants. I ramage through my fabric pile and found this burgundy stretchy goodness and made the arm gloves, and the sock that I will be wearing with my black flip flops. The mask I cut out of a pizza box and used artist masking tape over it with pillow stuffing underneath to give it some dimension and then used acrylic paints. I have more too do but this is what I have came up with in the last two days. I need ideas for the arm guards and I want to decorate the vest with something . My brother is going to let me use one of his headbands that he has in his collection to go with it. I am happy with the results :D If anyone has any ideas to help me out send me a line or two. Thanks guys! the arm guards are done!!! Ice cream, ribbon, and hair oh my!